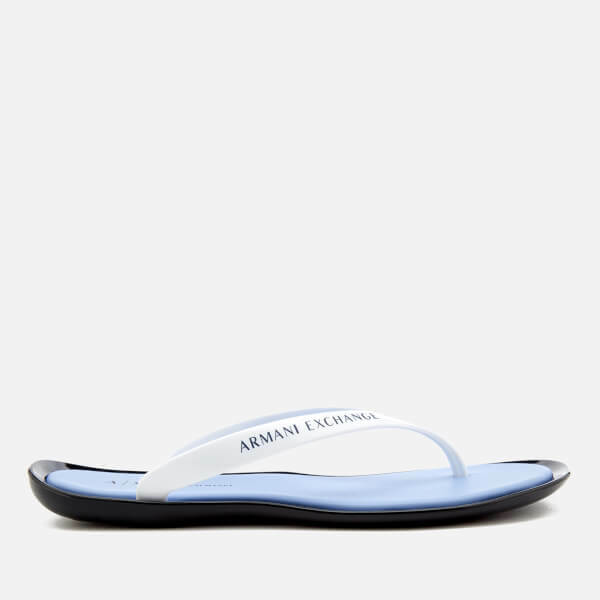 Women’s flip flops from Armani Exchange. 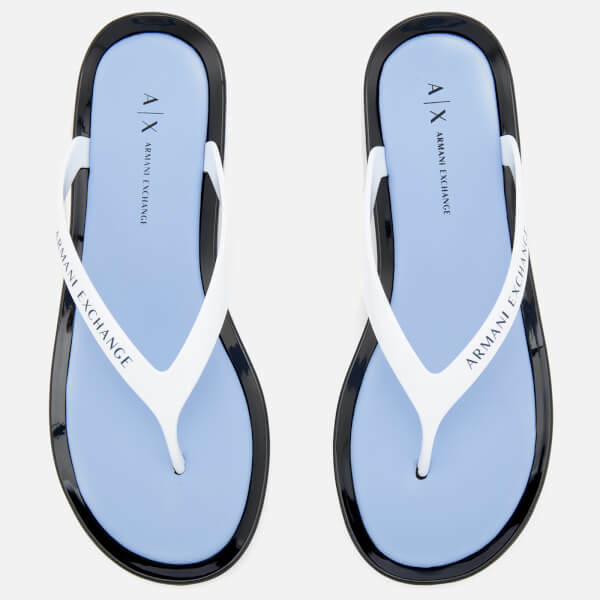 The flip flops are designed with a classic white toe thong and a light blue footbed with a signature logo print. Complete with a signature logo print on the strap and a textured outsole for added grip.